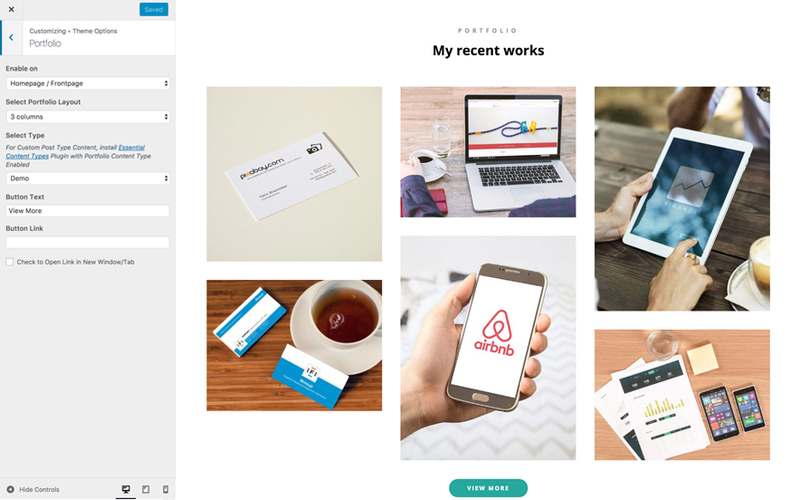 Portfolio :Option to enable/disable Portfolio in Homepage/Frontpage and entire site. (requires Essential Content Type Plugin ). 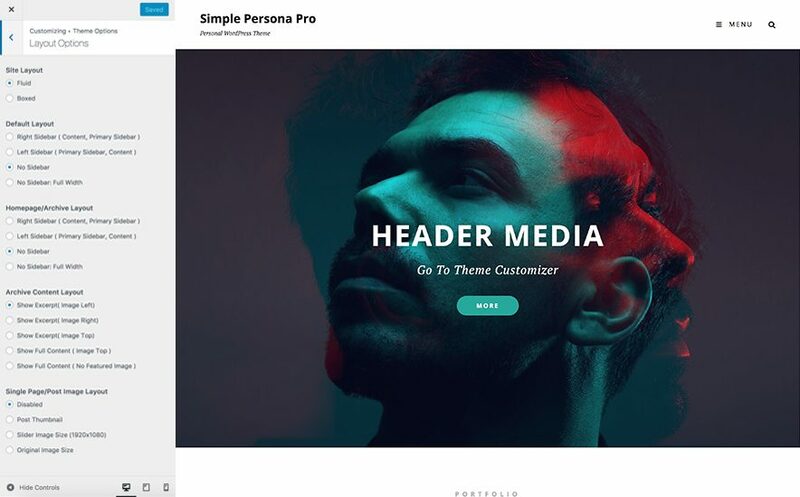 Simple Persona Pro currently has 14 widgetized areas(Sidebar) they are 1. Sidebar, 2. Footer Area 1, 3. Footer Area 2, 4. Footer Area 3, 5. Footer Area 4, 6. Instagram, 7. WooCommerce Sidebar, 8.404 Page Not Found Content, 9. Optional Homepage Sidebar, 10. Optional Archive Sidebar, 11. Optional Page Sidebar, 12. Optional Post Sidebar, 13. Optional Sidebar One, 14. Optional Sidebar Two, 15. Optional Sidebar Three. 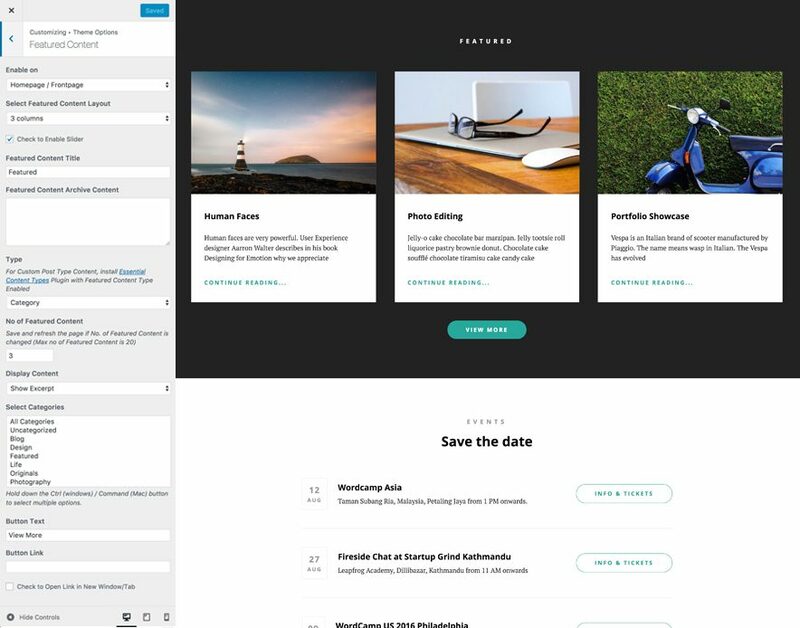 You can add a variety of Widgets to this theme from “Appearance => Widgets” or “Appearance => Customize => Widgets” in WordPress. Custom Header Image is different from site logo. It’s a large global image in the header to obtain a much more Simple Personalized look and feel. To add header image, you need to go to “Appearance => Customize => Header Media =>Header Image”. Here, you can add/change/hide Header Image, select option to Enable Featured Header Image on, Size and add in links and alt tag as per your website need. How to select date for events using Page/Post? Simple Persona Pro offers exciting Menu Options! This theme supports and recommends using “Custom Menus”. 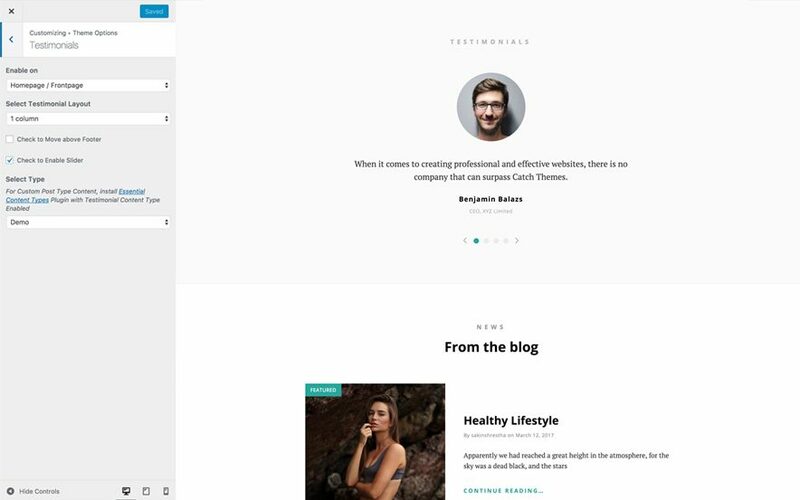 You can create Custom Menu through “Appearance => Menus” from your WordPress Dashboard. Simple Persona Pro supports 4 events types they are: 1. Post, 2. Page, 3. Category and 4. Image. 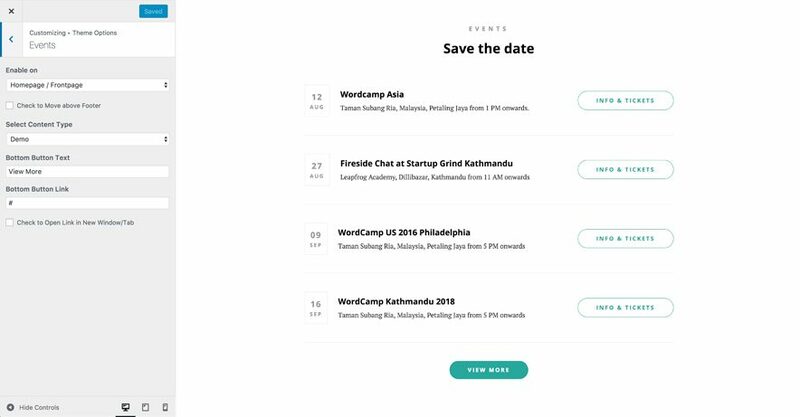 For Events, go to “Appearance => Customize => Theme Options => Events”. When you select categories, make sure your Posts in those categories have Featured Image Click here to watch our Video Screencast to add Featured Image. Simple Persona Pro supports 4 featured content types they are: 1. Post, 2. Page, 3. Category and 4. Image. For Featured Content, go to “Appearance => Customize => Featured Content”. Simple Persona Pro supports 4 featured slider types, they are: 1. Post, 2. Page, 3. Category and 4. Image. For Featured Slider Options, go to “Appearance => Customize => Featured Slider”. 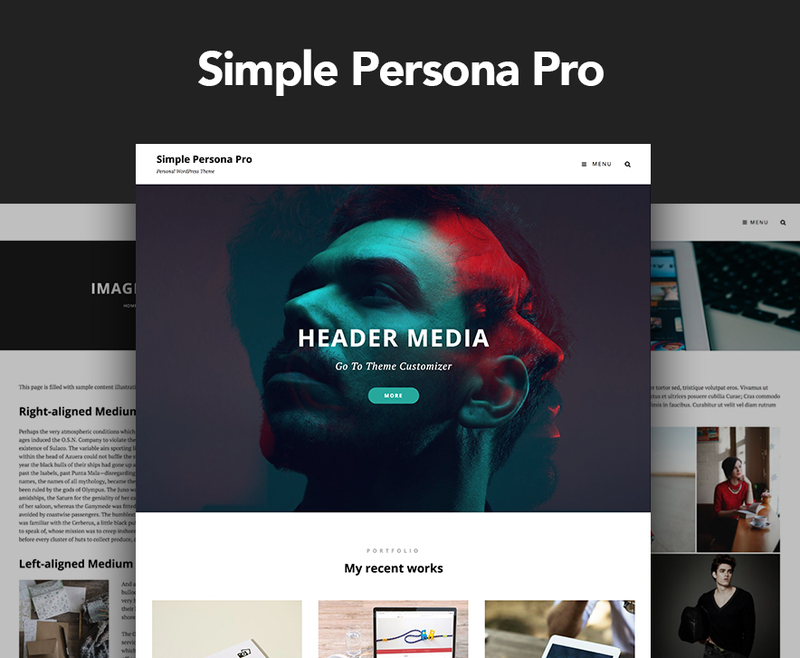 Simple Persona Pro supports 4 Hero Content types to choose from:1. Post , 2. Page, 3. Category and 4. Image. For Hero Options, go to “Appearance => Customize => Theme Options => Hero Content”. This is additional option on Simple Persona Pro. Once you are in Layout Options, you can Check the box below “Default Layout Options” which will set our site layout. 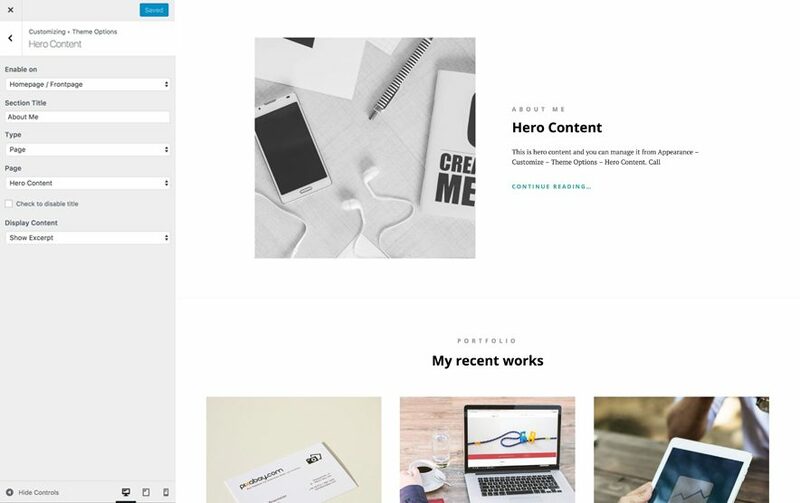 Further, you have the choice of selecting custom layout for individual pages and posts through “Simple Persona Options => Layout Options”, which you shall find below individual posts and pages, when you click on them for adding/editing. Once you are in Layout Options, you can Check the box below “Single Page/Post Layout” which will set layout for single pages/posts. 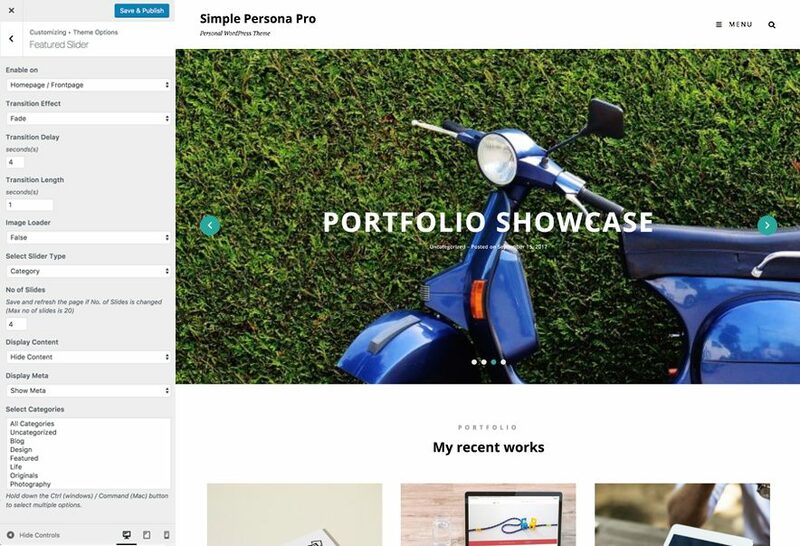 Portfolio option in Simple Persona Pro is used to highlight Page, Post, Category or Image in your website as Portfolio. There are 5 Portfolio Types to choose from. They are: 1. Page, 2. Post, 3.Category , 4.Image and 5. Custom Post Type. Simple Persona Pro suppots CT: Social Icons. You can add widget in widget area as per your need. Simple Persona Pro is WPML-compatible, that means all the text in this theme can be translated to the language of your choice. 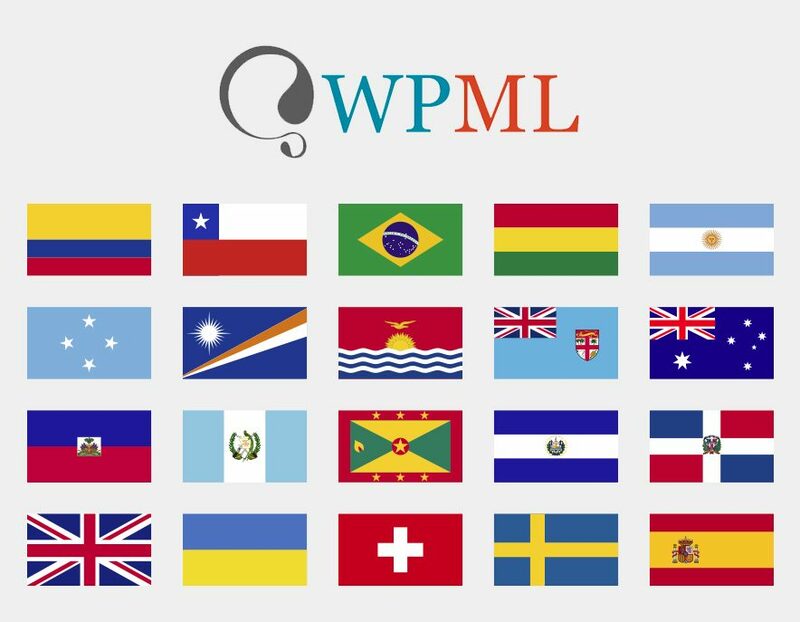 To begin, be sure you have the WPML Plugin installed and activated, along with WPML String Translation plugin.